Since the last ice-age, wild Atlantic salmon have established themselves in more than 2,000 rivers in North America and Europe. Only a tiny percent of Atlantic salmon survives from egg to adulthood. If a 5-kilogram (11 pounds) female lays 8,000 eggs, on average, two will live long enough to spawn as adults. Atlantic salmon are one of nature’s greatest navigators. Their migration is a 4,000-kilometer (2,000 nautical miles) round-trip voyage. Guided by the earth’s magnetic fields and an incredible sense of smell, Atlantic salmon return to spawn in their home river, sometimes in the same gravel bed they hatched from. 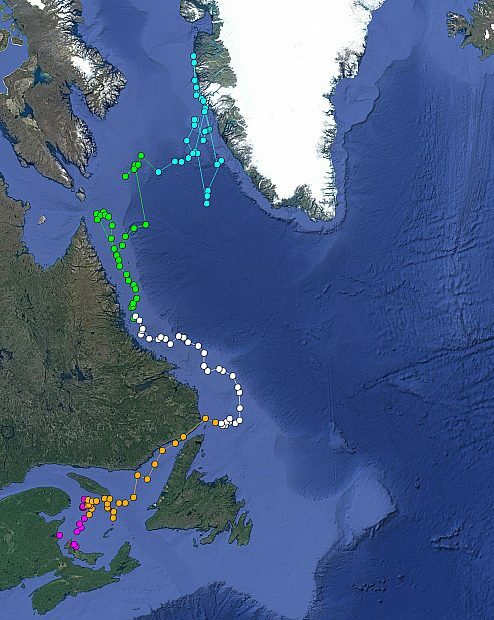 This image shows the movement of a satellite tagged adult Atlantic salmon leaving the Miramichi River in New Brunswick and swimming towards Greenland. Each colour represents a different month at sea, beginning in May. Some Atlantic salmon spend a single winter at sea before returning to spawn in freshwater. These are known as grilse. 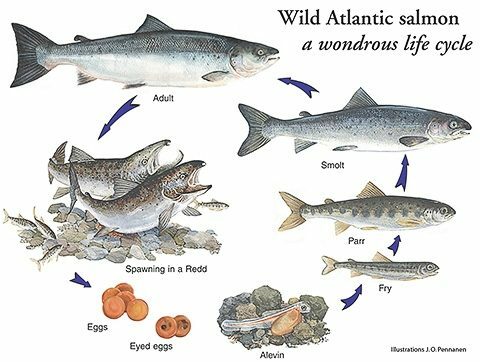 Other Atlantic salmon spend 2-3 winters at sea, reaching sizes in excess of 25 kilograms (55 pounds). 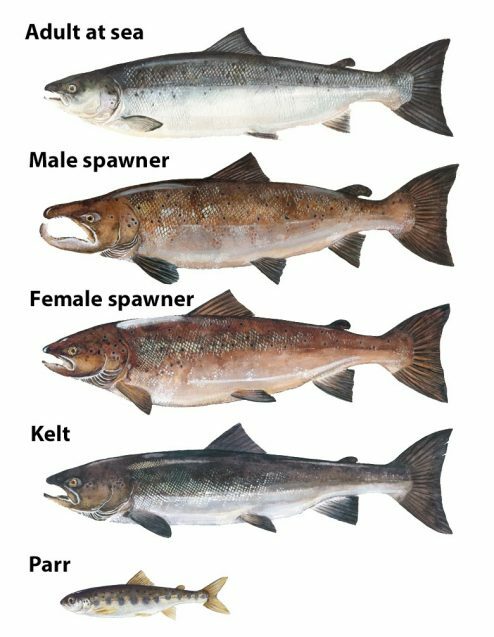 Unlike Pacific salmon, Atlantic salmon can spawn multiple times in their life. 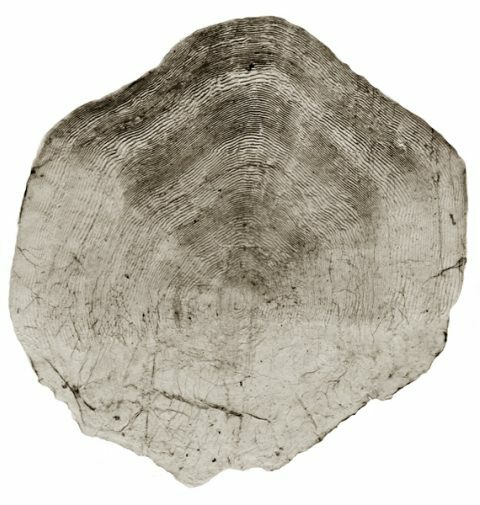 Like tree rings, Atlantic salmon scales have growth lines, which provide rich information about their life history: how many years they spent in freshwater before heading to sea; how long they stayed in the ocean; and how many times they have spawned over their life. In addition to studying scales, DNA analysis reveals which river a salmon was born in and whether there has been any breeding with aquaculture escapes. In 2016, using DNA tools, scientists in Newfoundland uncovered wide-spread introgression from escaped aquaculture salmon. Atlantic salmon are in the 1% of fish species worldwide that move between freshwater and saltwater environments. To survive, their body changes shape and colour; their gills and organs, like kidneys, also adjust. For instance, juvenile salmon (parr), have stripes on their flanks to camouflage them, while Atlantic salmon become dark blue with a silver belly to avoid predators in the ocean. Upon returning to freshwater, Atlantic salmon turn bright silver with a lilac sheen for a few days before changing back to their normal colour. Salmon also transform as they prepare for spawning. Sexual features, like the male’s hooked jaw, known as a kype, become prominent. Kelts, also called Black Salmon, spawn in the autumn and stay in their river over the winter. By the time they return to the ocean they are very thin, having used all their fat reserves and reabsorbed muscle tissue. Wild Atlantic salmon are capable of incredible bursts of speed while hunting. In the ocean, they develop needle-sharp teeth that grab and hold prey. Capable of diving over 900 metres (3,000 feet), wild Atlantic salmon consume deep sea creatures and small fish that school closer to the surface. Under the right conditions, a salmon smolt weighing 30 grams leaving freshwater is capable of returning two or three years later as an adult weighing in excess of 25 kilograms (55 pounds). 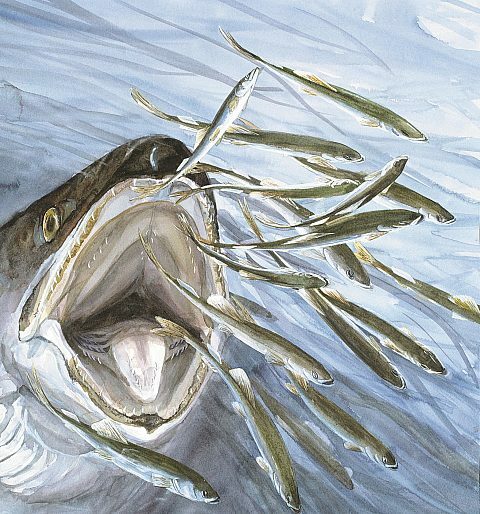 Despite their speed and strength, Atlantic salmon face many natural and man-made threats. In freshwater, predators like mergansers, striped bass, and river otters can take their toll, while industrial pollution, dams, and clear-cutting alter their environment. 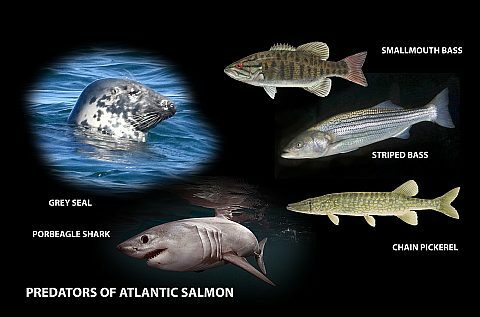 In the estuary and open ocean, seals, sharks, and other large fish, like tuna, prey on wild Atlantic salmon. 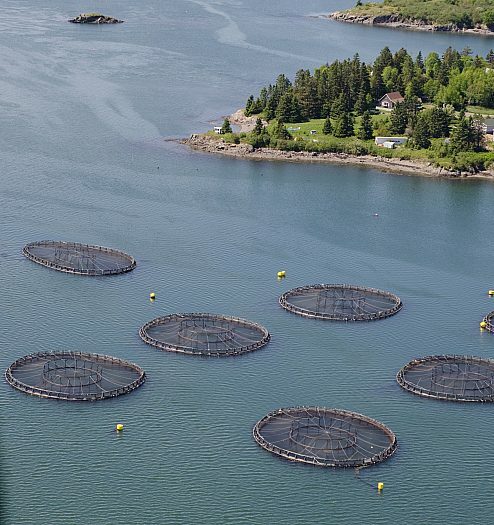 Open net-pen salmon aquaculture has emerged as a significant threat to wild salmon in areas where the industry is present. And increasingly, climate change is affecting ocean survival.